New Delhi: Home Minister Rajnath Singh today said the people of Jammu and Kashmir who have condemned the terrorist attack on Amarnath pilgrims have kept the "spirit of Kashmiriyat" alive. Mr Singh said it was also heartening to see the whole country united against terrorism. 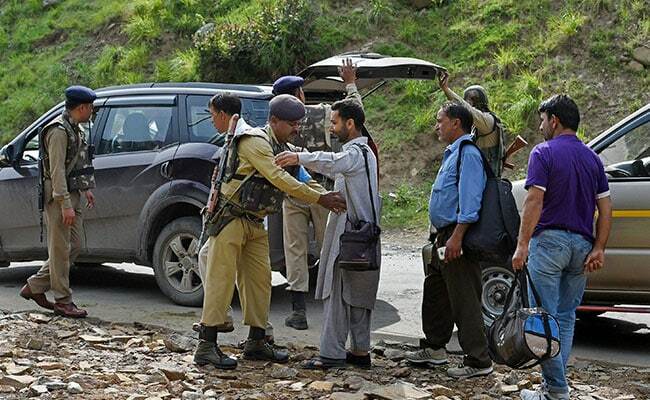 Seven pilgrims, most of them women, were killed on Monday night in Jammu and Kashmir when terrorists opened fire on a bus returning from the Amarnath shrine. "I am pained at the loss of lives of Amarnath pilgrims. But I salute the people of Kashmir as all sections of society have condemned the attack. It shows the spirit of Kashmiriyat is very much alive," Mr Singh told reporters in New Delhi. He said the attack was "unfortunate and painful". "Every section of the society in Kashmir has condemned the unfortunate cowardice act of terror on the Amarnath pilgrims. I salute the people of the state," Mr Singh said. Mr Singh also met with senior government officials, including National Security Adviser Ajit Doval, and sought better security for Amarnath pilgrims. The pilgrimage started on June 29 and will end on August 7.